A Staple Hill man has been ordered to pay £1,240 in fines and costs after admitting fly tipping waste in Westerleigh, South Gloucestershire. Sean Burnell, 29, of High Street in Staple Hill appeared before North Avon Magistrates’ Court on Friday 15 January. 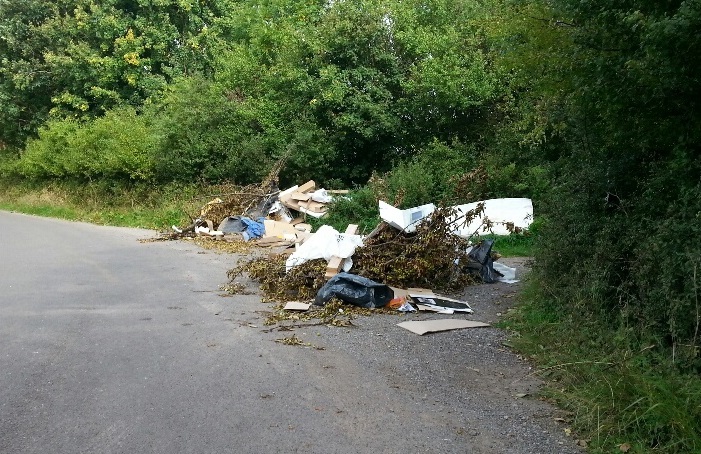 He pleaded guilty to fly tipping waste that was found in Besom Lane, Westerleigh, South Gloucestershire and was fined £400 with costs of £800 and a £40 victim surcharge. The court heard that a Yate resident had been in contact with Burnell who agreed to remove some cardboard and packaging waste for the resident for £40. The waste was subsequently found dumped in a lay-by on Besom Lane. Burnell had claimed that he was driving along Besom Lane a few days after collecting the waste, when he saw that some litter, including a mattress, dumped in a lay-by on the side of the road. He admitted dumping the Yate residents’ waste there as well.